High school non-completion remains a stubborn reality in urban communities where low-income people of color are concentrated, putting young adults at risk for long-term economic instability. Research shows that self-efficacy positively affects school outcomes and that in-school experiences influence school completion. However, little is known about the joint effects of self-efficacy and aspects of the school context on school-leaving. This study gathered data from a sample of 200 young adults recruited through a participatory action research project in a low-income, predominantly Latina/o urban community. Using descriptive and inferential statistical analyses, this study examines relationships between academic and general self-efficacy, dropout status (non-leavers, temporary-leavers, and permanent-leavers), and school context. Results showed few differences between temporary- and permanent-leavers, although leavers had lower academic self-efficacy but higher general self-efficacy than non-leavers. Moreover, grades and caring relations with adults explained the difference in self-efficacy by dropout status. 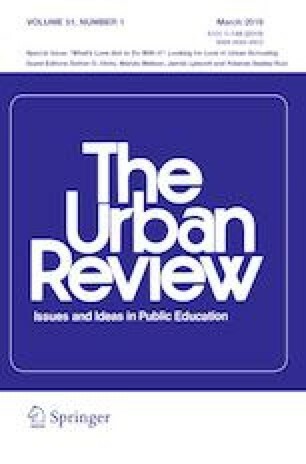 This article discusses implications for research and practices on school completion, particularly for young adults living low-income, racially/ethnically minoritized urban communities. Complete this section only if you left school before getting a high school diploma. If you have your diploma, go to the next page. Are you still in high school? If no, do you have a high school diploma? When unexpected problems occur in my life, I don’t handle them well. I get discouraged when I make a lot of mistakes. If I need help with a problem, I usually know where to get it. I don’t put much effort into the things I do. I feel like I can’t control a lot of things in my life. If I really want to learn something, I push myself to learn it, even if it’s difficult. I get discouraged when something is difficult for me to do. I felt certain I could master the skills taught in class during the year. I felt certain I could figure out how to do the most difficult class work. I could do almost all the work in class if I didn’t give up. Even if the work was hard in class, I could learn it. I could do even the hardest work in class if I tried. In general, which best describes your grades in high school? Have you ever been kept back a grade? Were you ever in special education? Have you ever been suspended from school? Have you ever been expelled from school? My teachers cared about me as a person. My teachers cared about me academically. My teachers valued my ideas and opinions. My teachers treated me fairly. Teachers and administrators treated me with respect. I felt comfortable talking to a teacher or administrator if I had a problem. If I made a mistake, teachers and administrators were willing to give me another chance. My teachers were willing to help me with my school work. My teachers had high expectations of me. My teachers taught and explained things well so that I understood the material in class. My teachers made learning fun and interesting. My high school prepared me well for college. I got along with teachers and administrators. Most students at my school cared about learning and getting a good education. My teachers knew how to handle student disruptions. Students were disciplined fairly at my school. I got along with other students in school. I felt safe at school. If yes, what kind of work do you currently have? Do you rely on any of the following forms of public assistance to get by financially? Currently, how well are you able to meet your financial responsibilities? Were you born in the U.S.? U.S. Census Bureau. (2012). American Fact Finder. https://factfinder2.census.gov/faces/nav/jsf/pages/index.xhtml. Retrieved 17 October 2014. U.S. Department of Labor. (2016). Earnings and unemployment rates by educational attainment, 2016. https://www.bls.gov/emp/. Retrieved 14 August 2017.